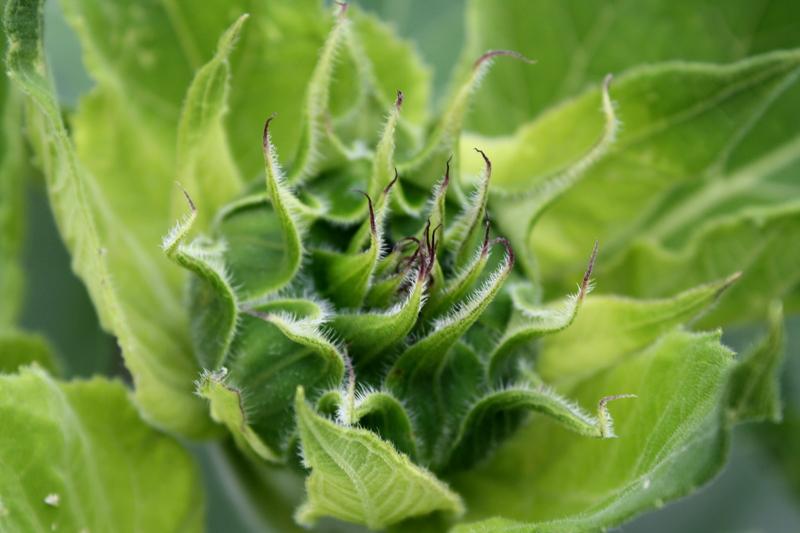 Free high resolution close up photo of a sunflower bud about to open and bloom. This picture shows the fuzzy leaves around the bud that is just about to blossom into a big beautiful sunflower. Sunflowers are a classic symbol of summer. Free image for any use.